Some YAMASAKI Motorcycle Manuals PDF & Wiring Diagram are above this page. 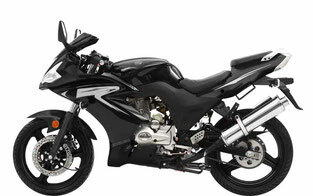 Changzhou Yamasaki Motorcycle Company is a Chinese motorcycle manufacturer headquartered in Changzhou City. The company is engaged in the design, manufacture and sale of motorcycles, scooters, cargo and passenger tricycles, as well as electric bicycles and scooters. Yamasaki brand positions itself as an innovative producer, which focuses on research and development. Almost all Yamasaki products (about 90%) are exported. The brand is represented in countries such as the USA and Japan, where Yamasaki USA and Yamasaki Japan operate, as well as in France, Germany, Spain, Great Britain, Denmark, Poland, Russia, Ukraine, South America, Australia, North and South America and others. . The Yamasaki range is represented by several models that differ little from each other. Basically, all the technical parameters of motorcycles are similar, the main difference lies in the appearance of bikes, which can be made in the form of classic or sport motorcycles, as well as scooters. 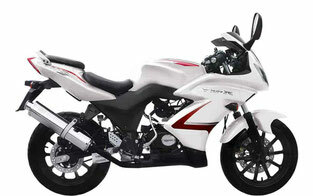 Buyers are popular model Yamasaki Leader with a 50-cc engine, which can be replaced by a larger one on a cubic capacity. The exterior of the model reminds two recognized authorities in the moto world - Suzuki Bandit and Yamaha YBR (Manual pages). Classic style emphasizes the elegant lines of the tank with overlays, a strictly round headlamp, elegant lines of spokes of the wheels and a handle instead of the trunk. The motorcycle received a quality front fork, and behind - two shock absorbers with adjustable preload of the springs in five positions. Yamasaki Leader uses Kingstone tires: front - 2.75-18, and rear - 3.50-16 with a universal tread pattern. 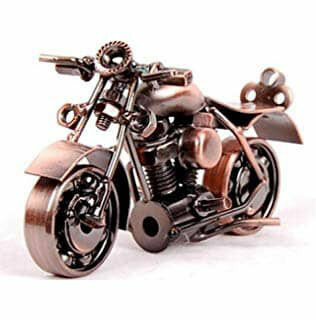 The design of the classic bike involves a motor on display with clear horizontal shapes. On the dashboard you can find a fuel meter, a tachometer, a speedometer with the possibility of resetting the mileage scale. The indicators are displayed in a separate area, the number of the included transmission is highlighted. The brake system includes a front small disc and a rear drum brake.